Take advantage of the fun and motivation of group training! Boxing, Bike, Triathlon and Plyometrics Classes Available! HIIT is training that specifically targets the strengthening of our heart. 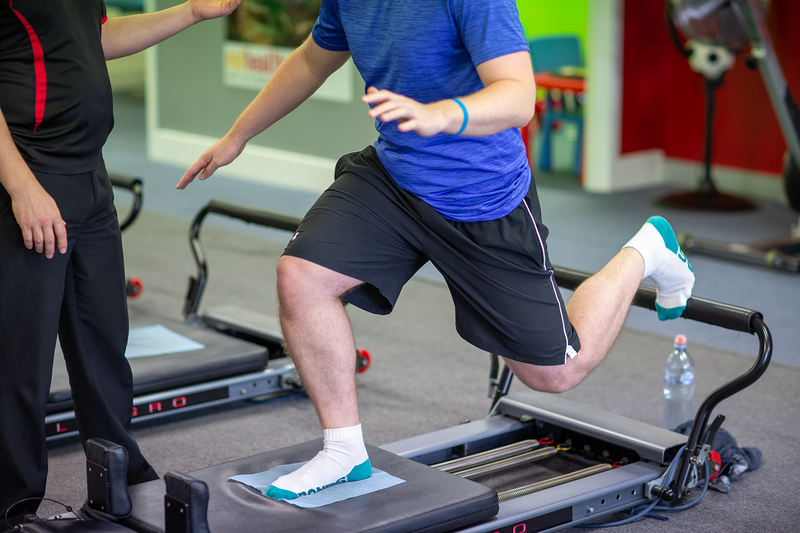 HIIT is ideal for individuals who are training for a wide range of sports and activities. For those who simply want to improve their fitness level, it can help with normal day to day activities such as walking the dogs, gardening or playing with kids and grandchildren. If you’re interested in trying a HIIT program, a free one hour assessment and trial is available. Each program is tailored to suit you individually. 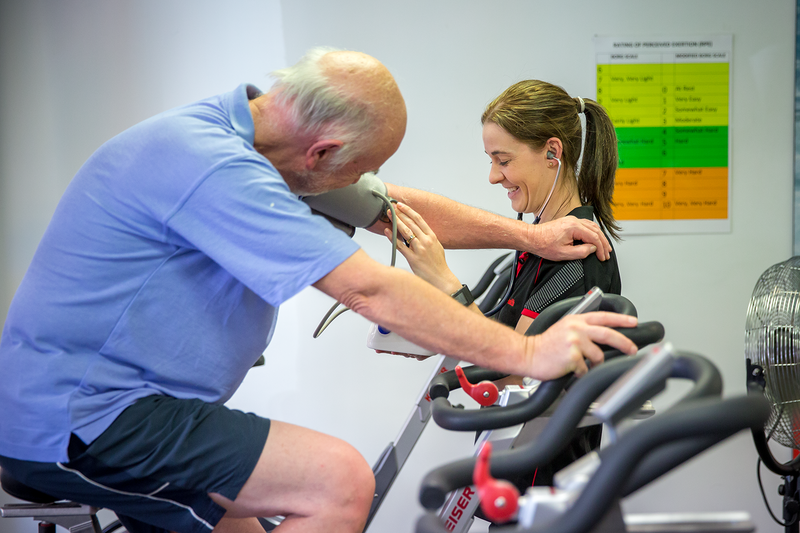 Under the supervision of MD Health’s Physiotherapists and Exercise Physiologists. The results from this testing will form the basis of your MD Health HIIT program. High Intensity Interval Training requires your heart to work at varying intervals/levels. The idea is to exercise at a high intensity (on-time) for 8-30 seconds and taper off to low-moderate intensity (off-time) for up to a minute, depending on your fitness goals. 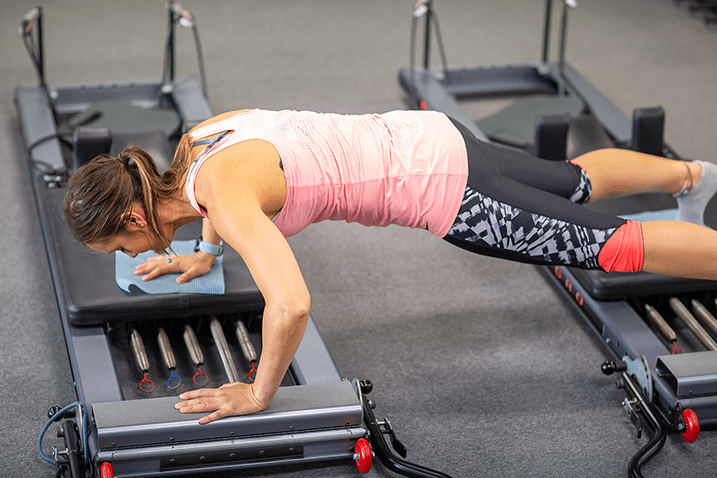 What makes it even more exciting is that, by continuing the Pilates muscle building process in parallel, the fat burning potential is enhanced even more. The greater the muscle mass, the greater the number of outlets for ATP and glycogen release, the more fat burning required to replenish ATP and glycogen stores! During on-time, your heart must work at between 70-90% MHR (maximum heart rate) and return to less than 70% during off-time. At between 70-90% MHR, the glycogen and ATP stores within the muscle will be required as a source of energy. However, both ATP and glycogen will provide energy to the muscle for only a limited period of time, meaning your heart rate will need to drop to below 70% MHR during off-time to allow the muscles to search for a means of replenishing such stores. Once ATP and glycogen are depleted, and your heart rate is reduced to around 70% MHR, your body will break down your fat stores and convert it into glycogen and ATP. In other words, not only will you be burning fat during off-time, but after a short burst of high intensity exercise, your body will need to break down fat again at an even greater rate to replenish ATP and glycogen stores to the muscle. Moreover, this replenishing process will continue for 24-48 hours after the exercise is completed! The program consists of two 20-minute (plus 5-minute warm up & cool down) classes twice a week to get the best results. That’s a 40-minute fat burning process that would otherwise require at least 2-4 hours of walking to achieve similar results – a fat burning process up to 4 times more efficient. We now offer both Boxing and Cycling HIIT classes. The first step is now! Take the first step to a healthier you! Contact us today to book a free, Full Body Assessment with MD Health. Where we can determine your strengths and weaknesses, discuss any goals you might have and create a tailor made plan specific to your needs.